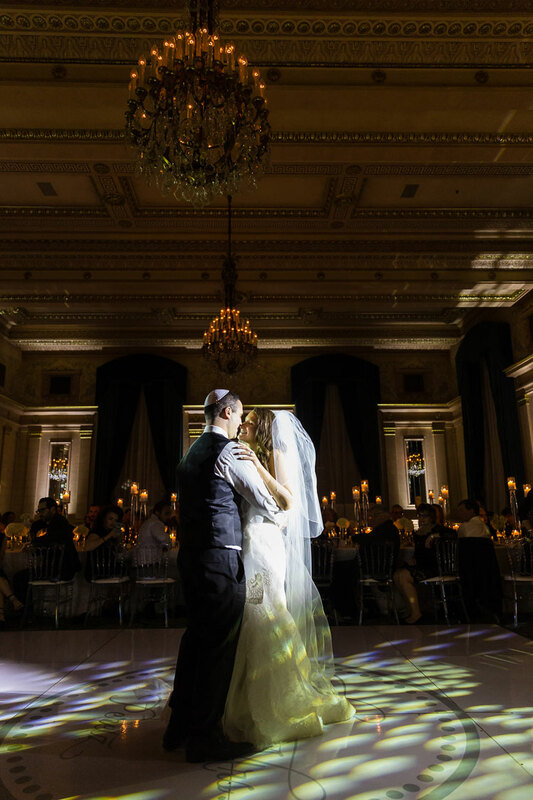 We got married at The Fort Garry Hotel in Winnipeg, Canada. 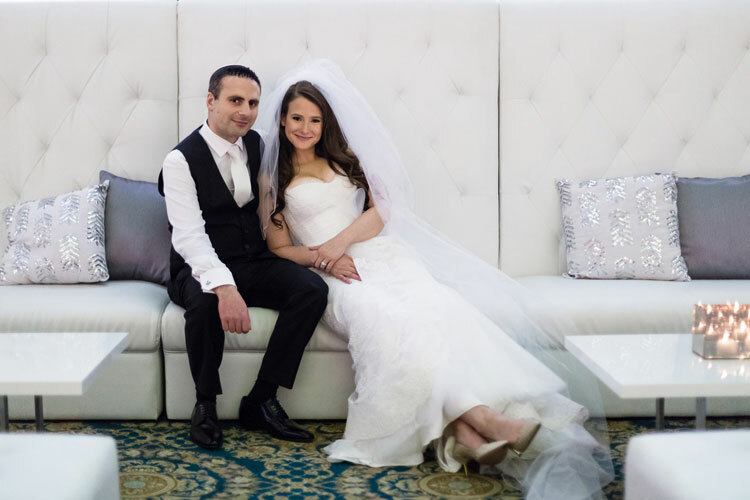 We selected this venue as it was the ONLY venue in Winnipeg that would allow us to bring in a kosher catering company – the only kosher catering company in Winnipeg is Bermax. 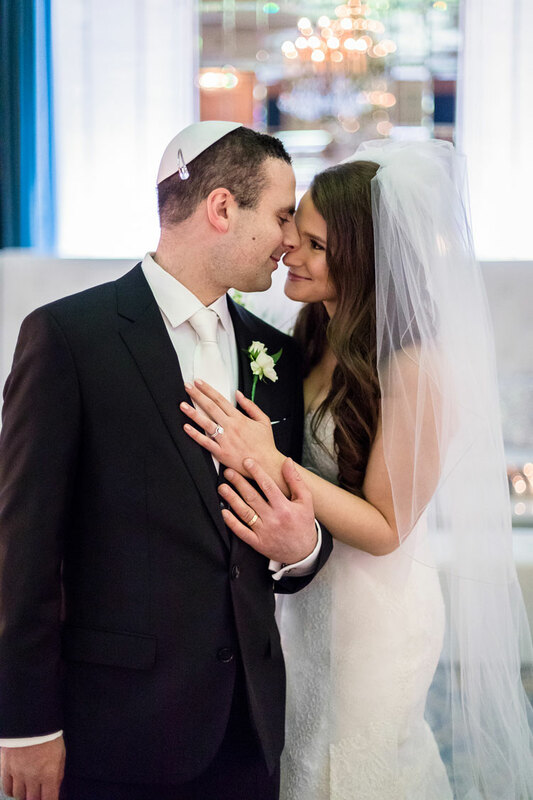 The biggest compliment to us was that we were able to keep everyone there until the end, as the whole wedding was kosher under Jewish law and halacha. 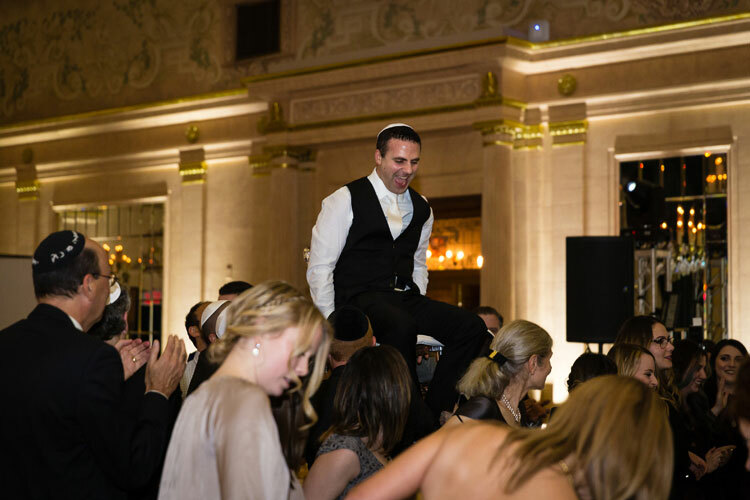 It was the greatest mitzvah. In Winnipeg, everyone has to compromise — you can’t have both. 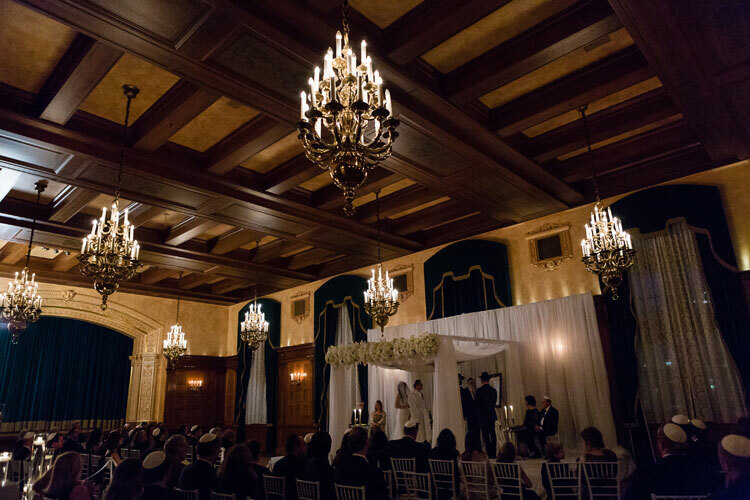 You can’t have a modern orthodox kosher wedding without it being at the Chabad Synagogue, but we did and had it at The Fort Garry Hotel. 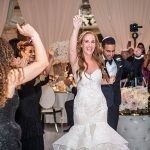 We were able to show that having a modern Orthodox wedding is not taboo and can be just as beautiful. 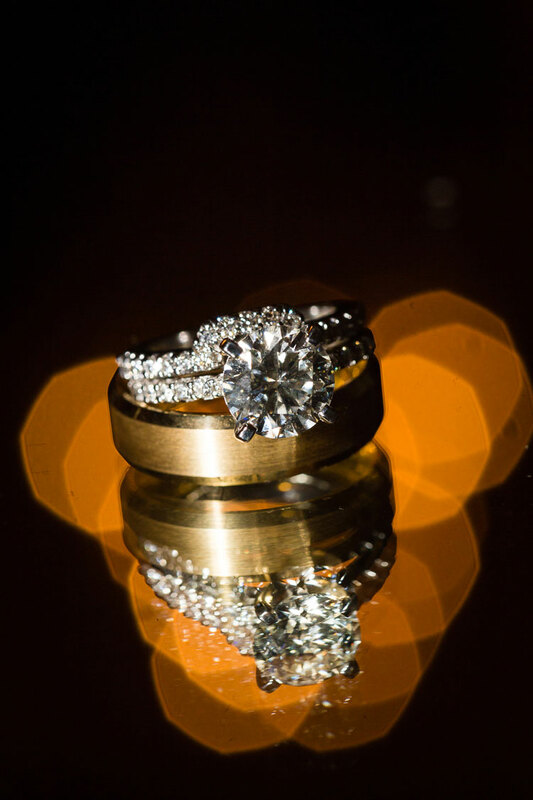 The wedding was about us, because it was very small and intimate. 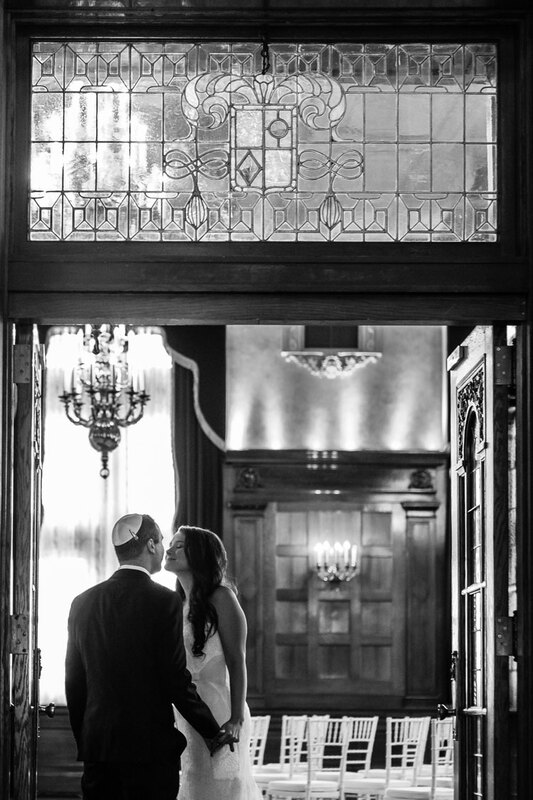 We wanted a kosher, intimate, religious, traditional-meets-modern orthodox Jewish wedding. 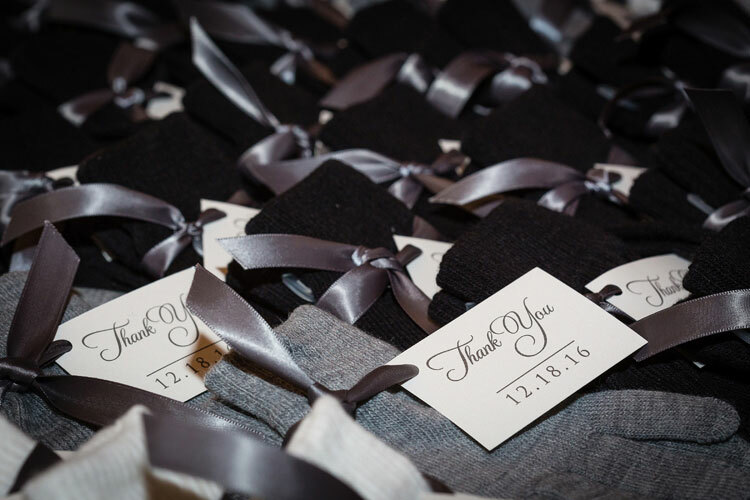 With only 75 guests attending, the room felt so warm, inviting and loving. 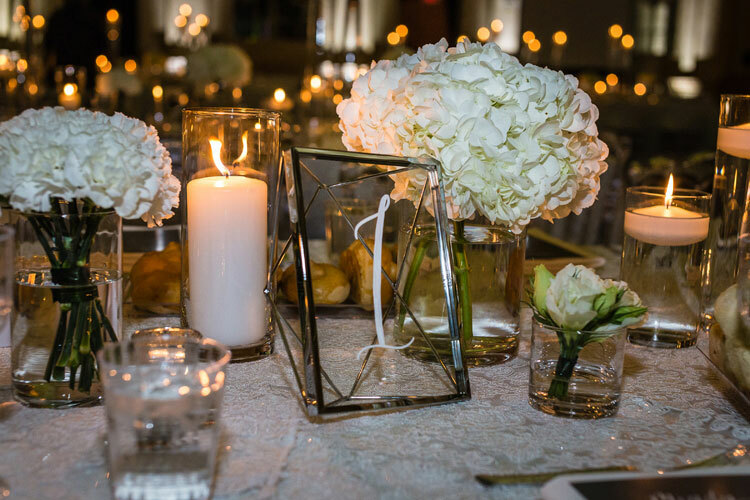 We did hire a wedding planner, Soiree Event Planning, to ensure beautiful dà©cor as we wanted all white. 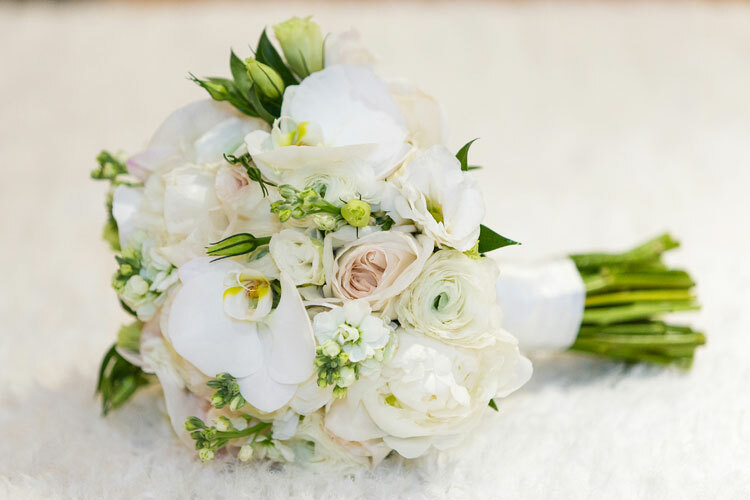 White for us symbolised purity, traditional, clean, luxe, elegant and modern. 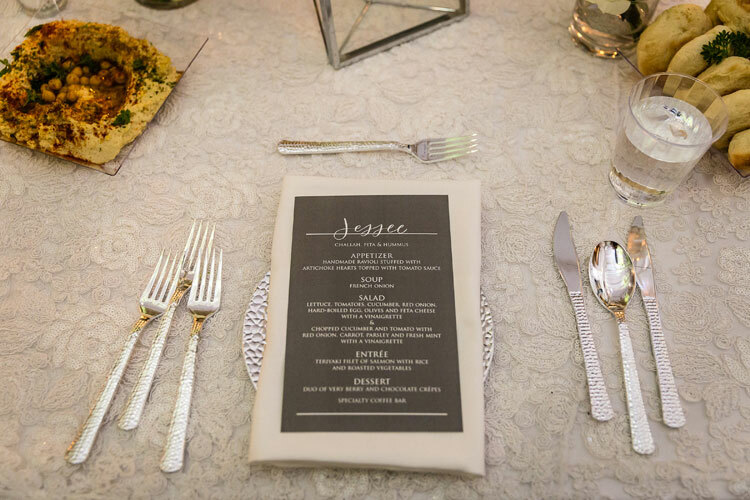 We wanted it to be very classic and luxurious. Amazing highlights included our lounge furniture. We wanted everyone to be able to relax and mingle, and created this incredible lounge area. The dance floor that had Dr. and Mrs. Peretz written on it! 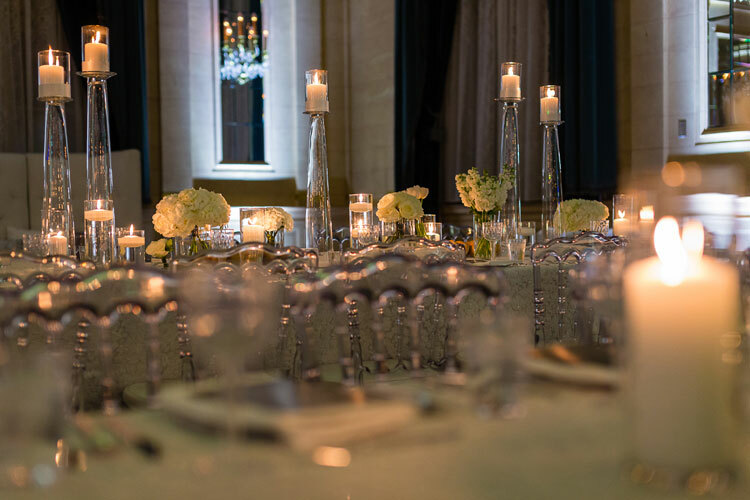 Clear Chiavari chairs that fully encompassed our clean, white, beautiful modern feel of long tables white flowers, candles that brought to life the clean/sleek vibe we were going for. It was so important to me that I looked like myself!! I did not want to have an extreme look, or do anything different from how I look when I dress up and go out. It was obviously a slightly more enhanced version of that, as extra hairspray was a must to last all day and, of course, eyelashes, but wanted to feel and look natural. My hair was curled like it always is when I go out, and I wanted it down. I wore all MAC makeup, and added individual eyelashes. I had assistance from my hairdresser, Danille Mandap and my go-to makeup artist, who is amazing, Ashley Tiopo. 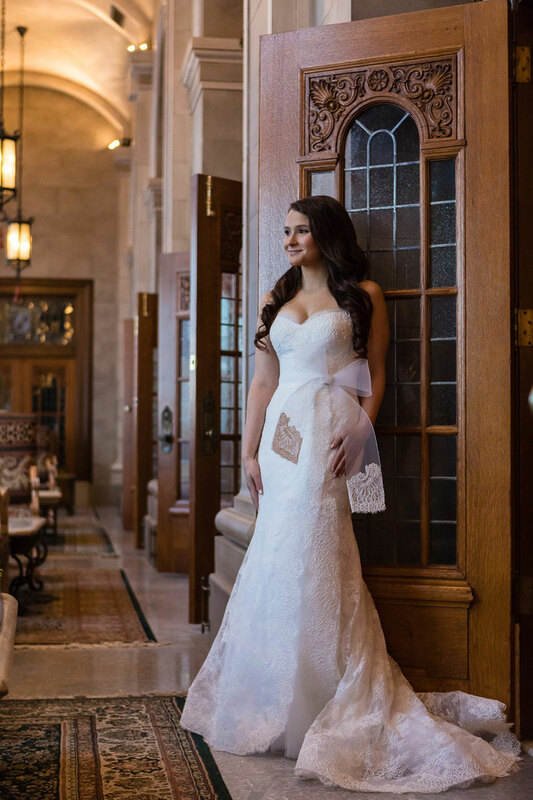 I wore Monique Lhuillier from White Toronto. 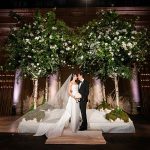 Monique Lhuillier was, and still is, my dream wedding dress designer. I always wanted a lace, strapless, sweat-heart and fitted dress. Her fit, and the way she designs her lace strapless dresses, really spoke to me, as they always looked so classy and elegant. The lace design was exceptional, and it was perfect for me. I knew I wanted this dress, and although I did try on other dresses I came in with a photo of this Monique dress and that’s the one I bought! It was the ‘Emma’ style from the Fall 2012 Collection, a re-embroidered lace strapless sweetheart asymmetric modified A-line gown with tulle inset skirt with horsehair sash with lace detail. I was also obsessed with the bow! I love all things feminine, and felt this detail added so much. The bow was magical, youthful and classy. 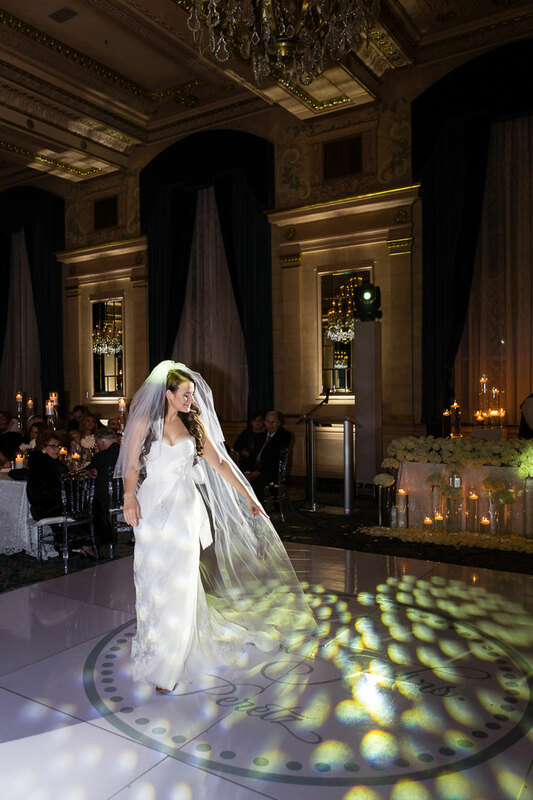 My veil was from White Toronto as well. I wanted it to be tulle and extremely long, covering my entire body. 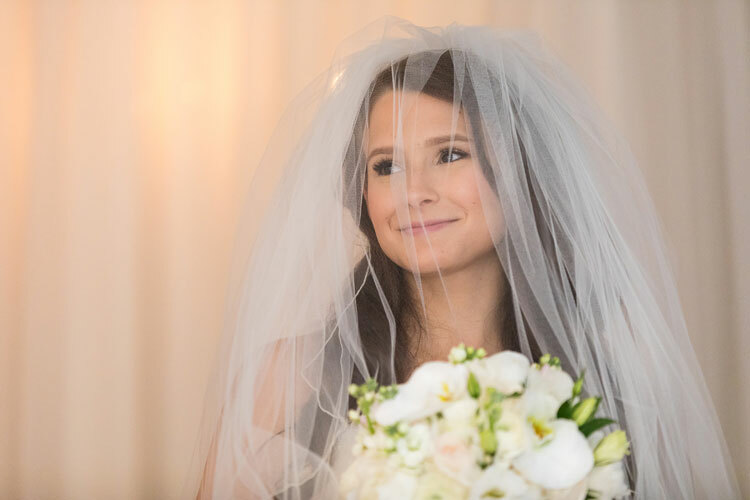 My dress was strapless, but under the chuppah, I was fully draped by the long tulle veil that covered my entire body as a sheer halo. 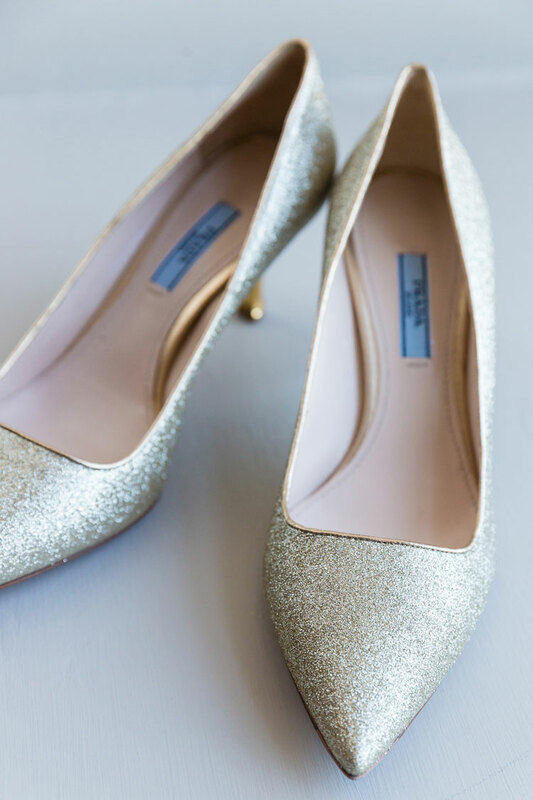 My shoes were PRADA – gold kitten heels. They were my dream shoes. Fashion forward, sparkly, elegant and comfortable. I was not going to wear a huge high heel. I wanted to be able to wear them all night. David wore a Hugo Boss three-piece suit and Hugo Boss shoes from Hanford Drewitt. We went suit fitting together at an amazing local Winnipeg men’s store for suits, Hanford Drewitt. I knew Hugo Boss made the best suits, and David would look so amazing. He tried on a few, but loved the black design and vest option in the three pieces. He wanted to be able to take off the jacket and keep a formal look. He looked so handsome, and we both loved the cream tie as well. 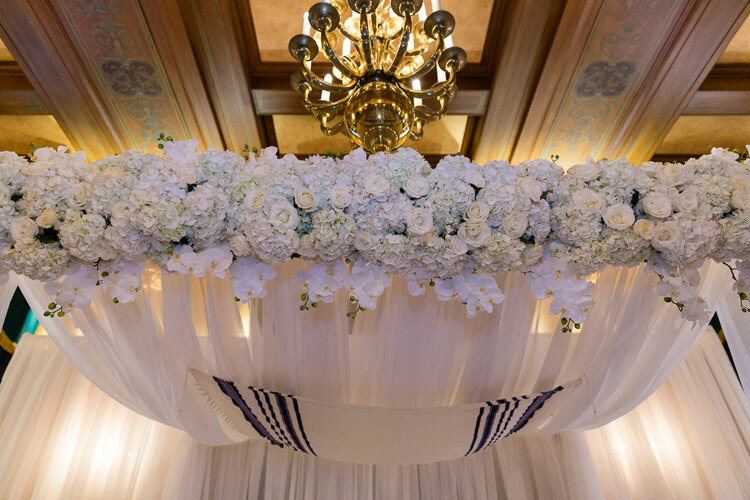 I wanted the chuppah to be white and very luxurious with all the flowers. It was also extremely important to us to hang David’s tallit. 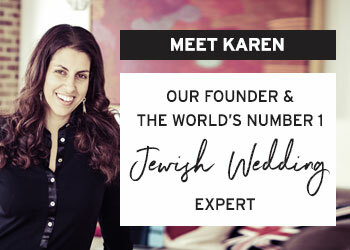 He wore a kittle under the chuppah. Having flowers was also very important to me. I wanted as many as possible! 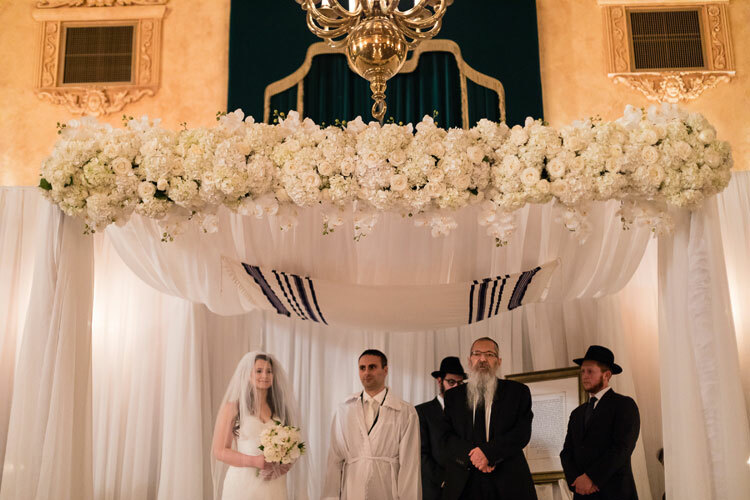 The flower garland for the chuppah was elaborate and everything I dreamed of. 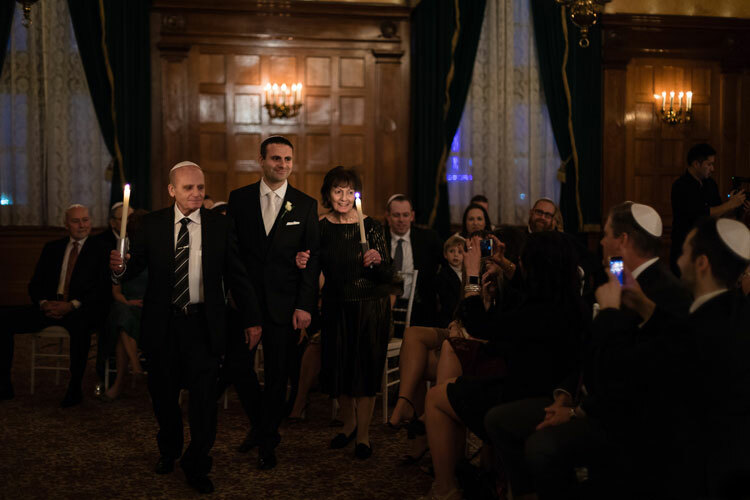 Having our parents under the chuppah with us was very important. As well as the candles they carried. Uniting us as one family made for a very special ceremony. While it was, of course, about me and David, our parents truly mean the world to us, and were both so grateful they could share this day. The best part for me was when David smashed the glass! He did it in one shot, and it was so exciting. 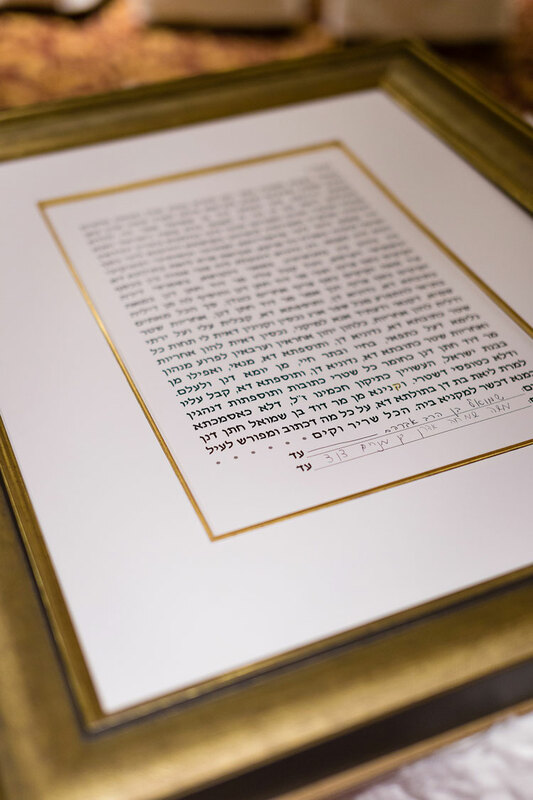 The ketubah was religious and without a design. It was just about the text and meaning — nothing fancy. 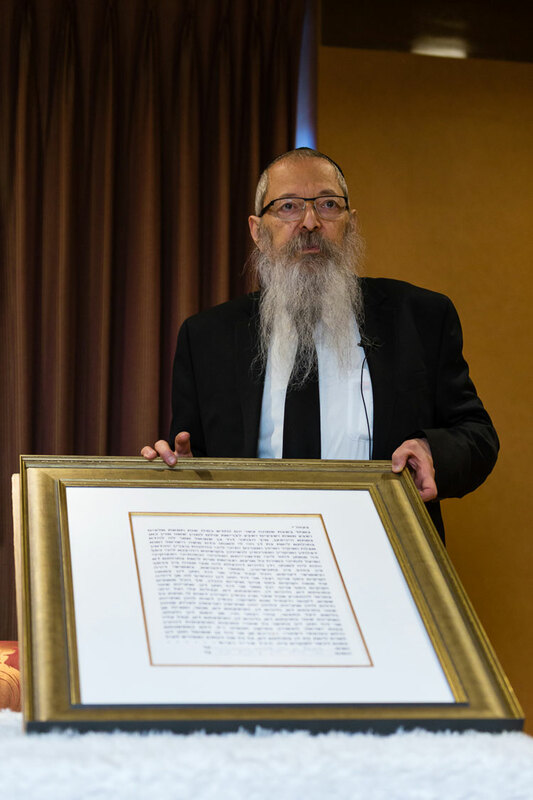 Rabbi Avrohom Altein from Chabad-Lubavitch was so willing and open to combine David’s more orthodox background with my traditional upbringing. 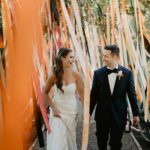 In addition to David’s kittel and my strapless dress, the chuppah ceremony had men and women sitting together, but during the reception the hora was danced in separate circles of men and women, not together. 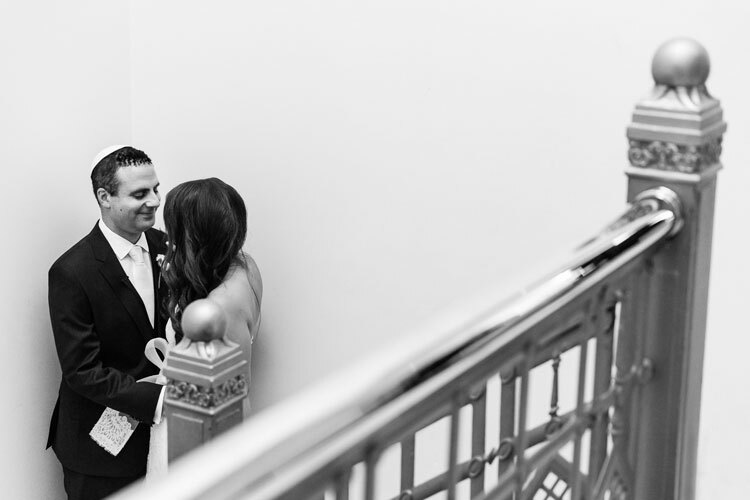 We walked down the aisle to a beautiful piano version of the Alter Rebi. This song was given to me by Adina Altein who is the. It was very beautiful, peaceful and religious. No words just the piano. After the glass was smashed, we played Siman Tov Mazal Tov! 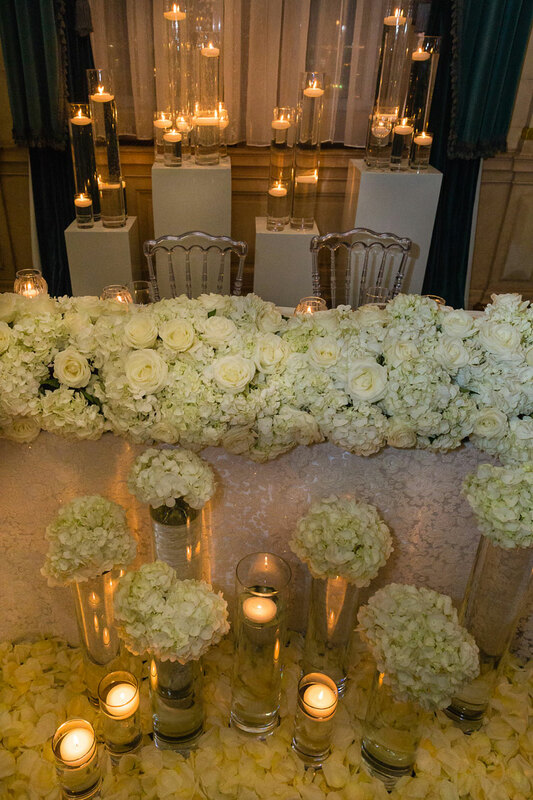 The long tables had an assortment of flowers , white roses, white hydrangeas, white football mums, white tulips, and white spray roses. 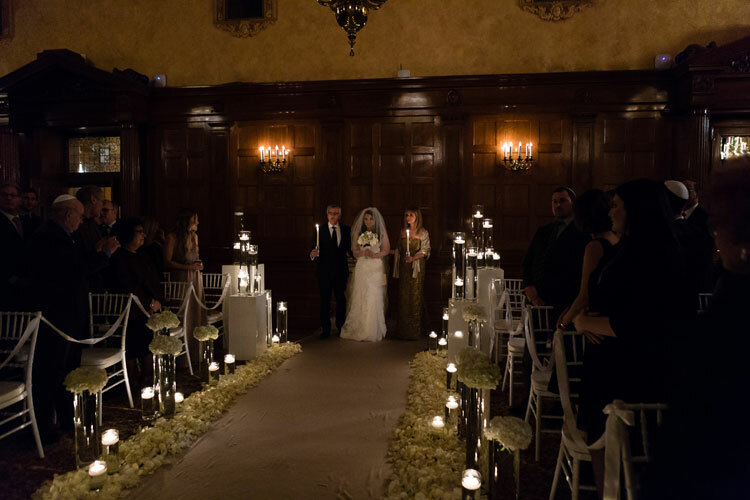 The ceremony was filled with white rose petals with hydrangeas and so many candles! 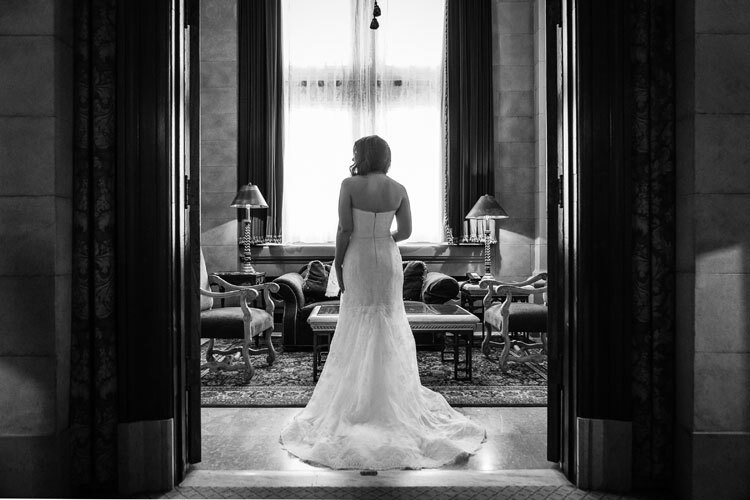 The photographer was Kristen Sawatzky, who is my lifelong friend. I have known her for over two decades. She was also my co-worker for many years. We have a very long history. She is so passionate about photography and is more fresh and up and coming. 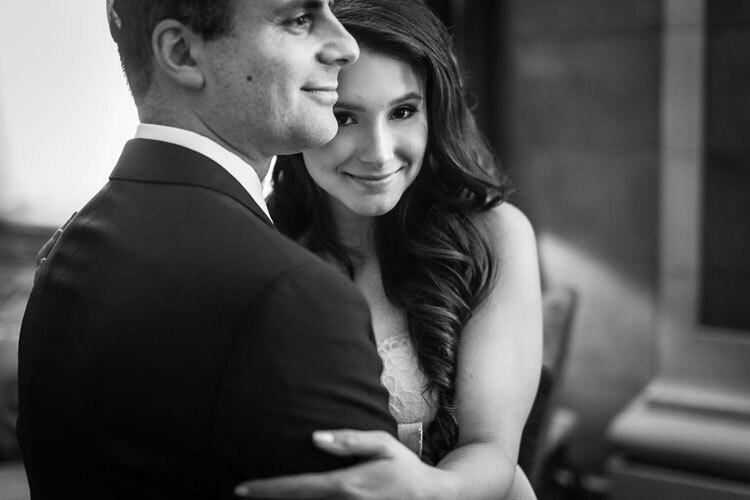 There were many local wedding photographers who have decades of experience, but for me, feeling comfortable on my wedding day with someone I knew was so important. I also believe her work is so amazing — and she has a brilliant creative eye artistically! 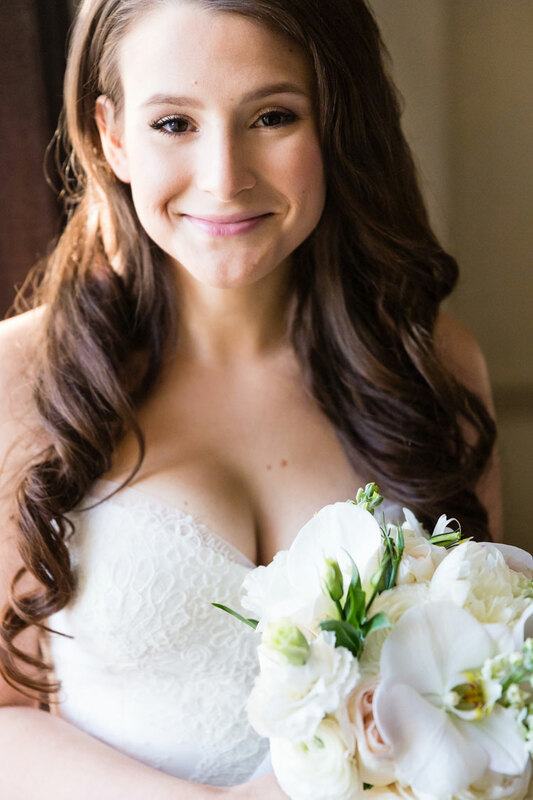 I am beyond happy with the photosm and could not be more satisfied to have chosen my friend to be the photographer. 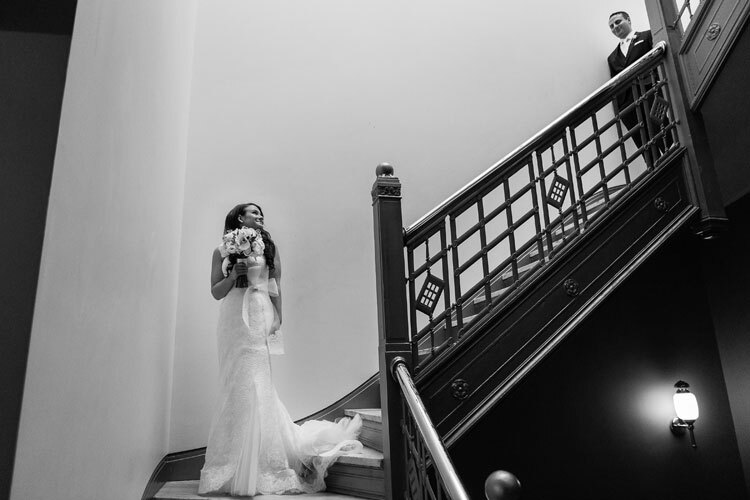 The videographer was also my friend, Daniel Paspaporn of Prairie Wedding Films. He filmed the entire wedding. We chose not to do a highlights film. 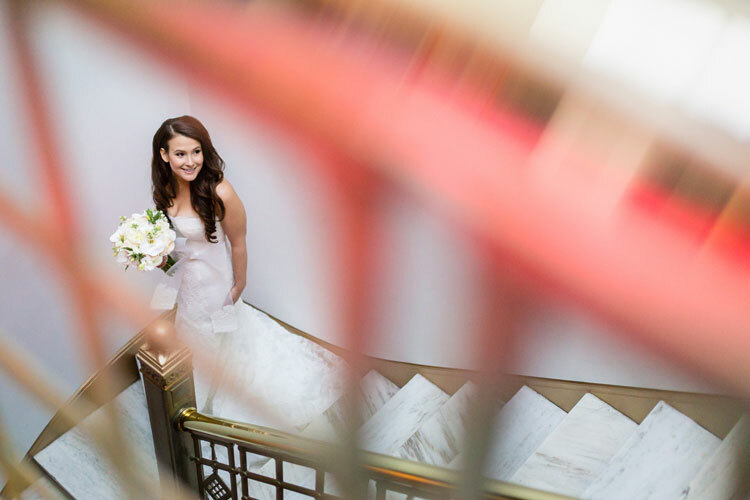 We wanted the entire wedding filmed and documented as it was, so we have over eight hours of footage! The catering was done by Bermax! 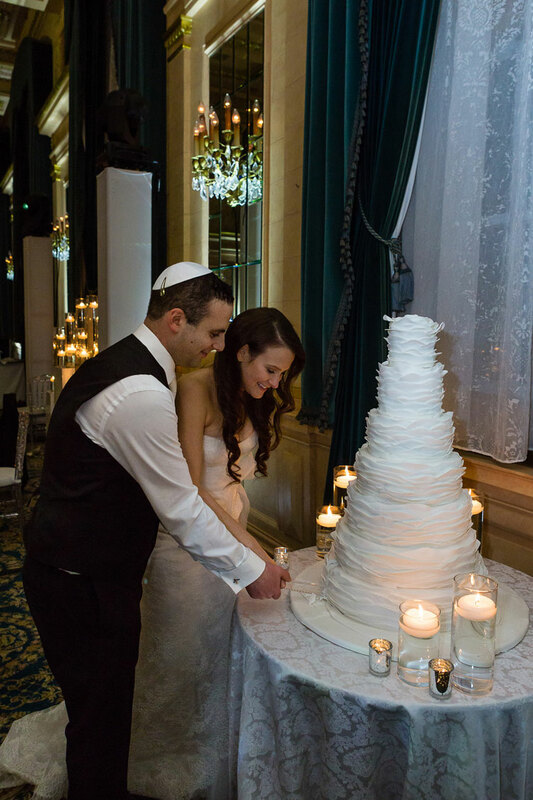 The only kosher catering/restaurant company in Winnipeg. 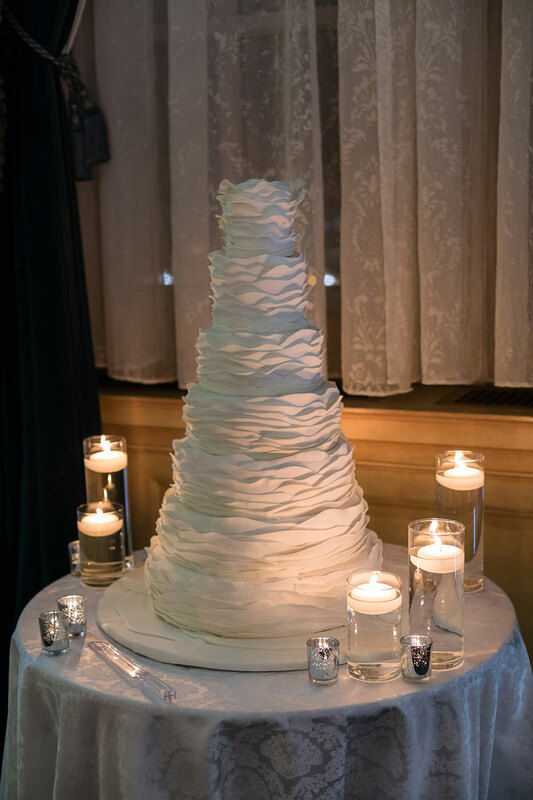 It was an amazing cake, chocolate on the inside, white fondant on the outside, and was very tall with seven layers. It was a dream, and Bermax did an amazing job with the cake and all the food as well. We are most appreciative that we were able to unite both the practicing orthodox with many less practicing Jews. 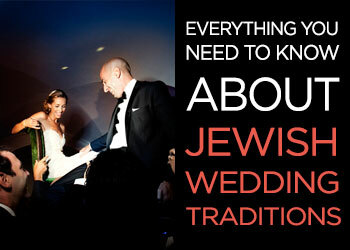 Initially the orthodox community were willing to marry us for the ceremony but then leave. 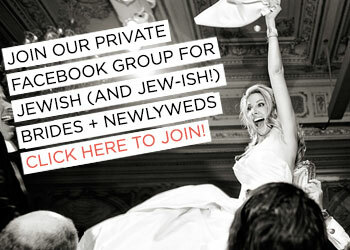 We finally convinced them to stay by making the entire wedding kosher. 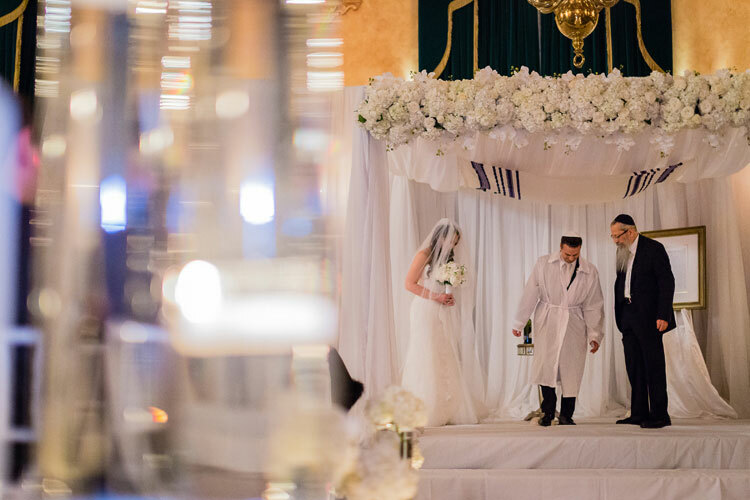 Bermax and the Hotel worked together to make a kosher wedding, which has never been done before! 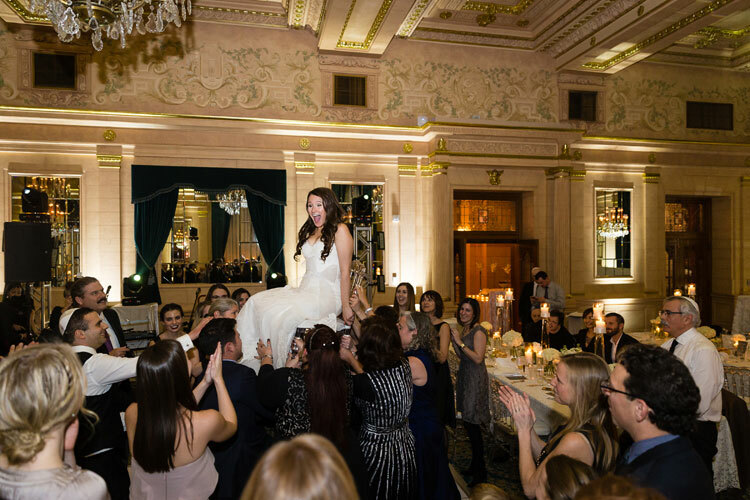 With the use of new warming ovens, prep stations, entire plastic dinnerware from Party Trends we were able to have a fully kosher wedding at the magnificent Fort Garry Hotel. Our first dance was to Marry Me by Train. David selected this song and he loves the message that it says “Marry Me, Today and everyday”. It was so important to David that the message of its not just one night you get married, you are married every day. 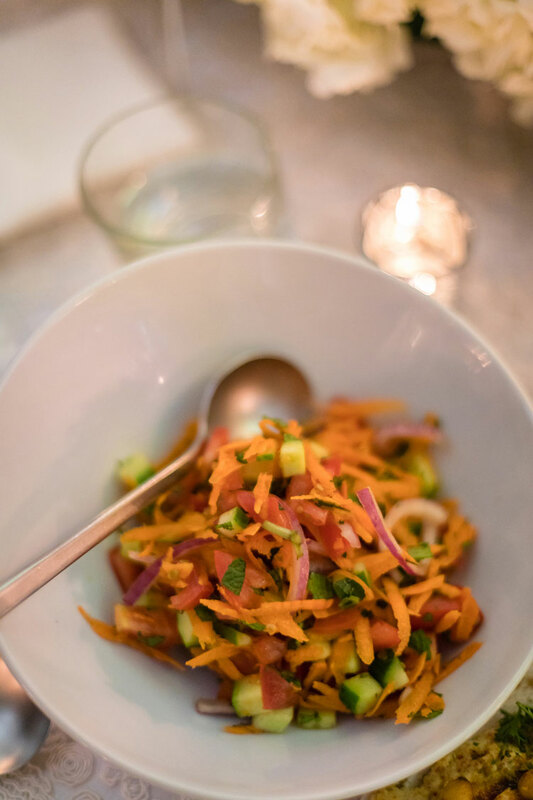 We wanted to be able to play Hebrew/Israeli music throughout the dinner to make it feel more religious. 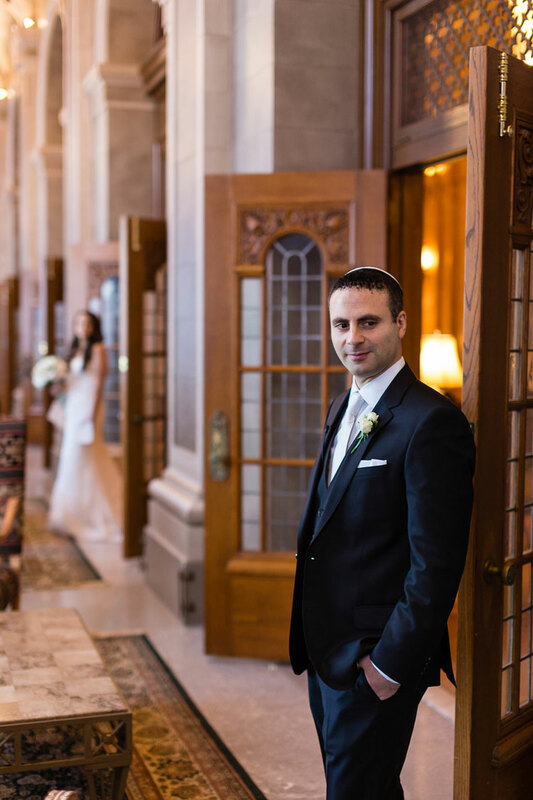 David’s first language is Hebrew, and his parents are Israeli, so we wanted to have that option and no live bands sang in Hebrew in Winnipeg. We used a DJ to play our favourite Hebrew music from our iPad. We did have The Big City All Star Band play live for the current songs and first dance. They were amazing and very talented. 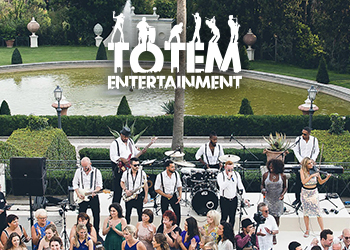 Having a live band always pumps up the energy and having live music was so important to me because it’s more personal. 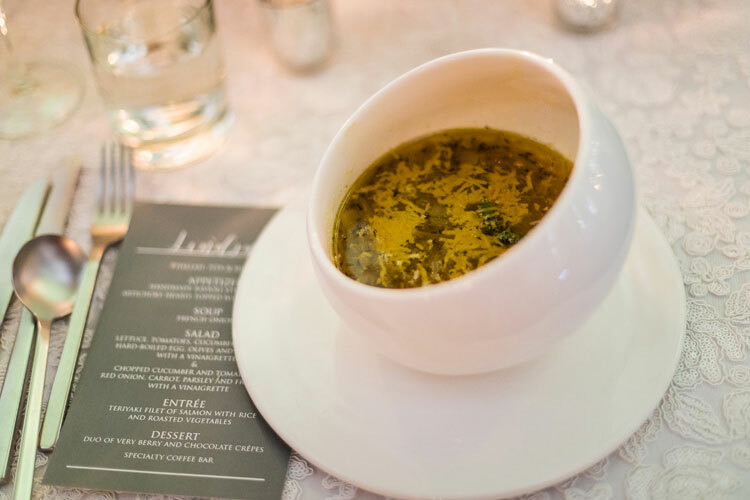 To have and to hold in case you get cold — was our favor! We had mittens! It was December 18th in Winnipeg Canada and very cold. We thought giving out mittens, iPhone touch capable, I might add, was very cute. The day was perfect. Not stressful at all. I think really it’s really important to focus on yourself and your husband to be. Focus on family and the actual marriage. 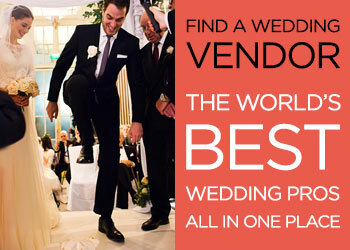 Don’t let the wedding become something more than it should. For us, it was about the love we had for each other, no one else except family. We wanted it to be intimate, and I think that was the most magical knowing that it was for us and no one else.